When Dean Richard Kessler took the helm of Mannes College The New School for Music three years ago, he started working with faculty and students on a mandate for change. 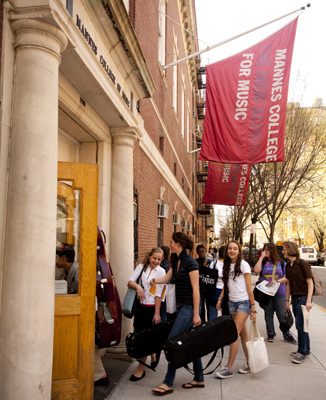 The resulting plan, called “Mannes in A New Key” sets forth a vision for the venerable conservatory that focuses not only on core repertoire and technique, but incorporates new music and technology, community engagement, and interdisciplinary work. To learn more about Mannes, visit www.newschool.edu/mannes.